Does your car's windshield need to be replaced due to chips or cracks? The expert team at AAG Glass & Tint can offer you convenient mobile service to repair or replace your windshield. If you can't bring your car in during regular business hours, we'll come to you with our mobile service. Many people don't know that your comprehensive insurance coverage will usually waive your deductible to fill in a chip if it's done right away instead of letting it go and having to replace the whole windshield later, which costs more money to do. For same-day service, call us immediately, as soon as the chip hits the windshield. We can save you money by catching that chip before it spreads. 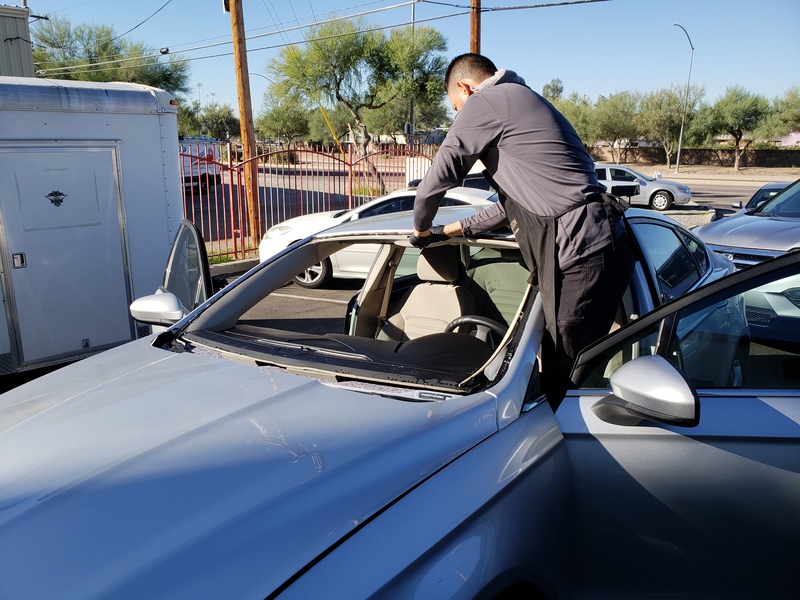 FREE mobile service to repair or replace your auto glass is available for insurance-approved glass work.